Sentry's Highly Protected Risk (HPR) facility is strategically located in Indianapolis, Indiana, the "Crossroads of America." This location enables Sentry to act as fast, expedient worldwide pharmaceutical distributors, providing a variety of built-in advantages for logistical efficiency. 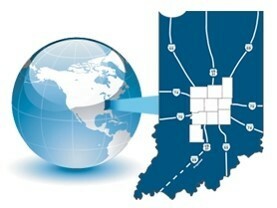 Sentry's location is adjacent to Indianapolis International Airport, the eighth largest cargo airport in the U.S. The airport, just minutes away, serves 12 major airlines with more than 280 daily flights. Four major interstates convene in Indianapolis (I-65, I-69, I-70 and I-74), providing one day driving access to 75% of all U.S. businesses. Proximity to FedEx's 2nd largest hub enables Sentry to capitalize on late drop times, promoting effective west coast (U.S.) and global pharmaceutical distribution. For more information about scheduling a visit to our facility, contact Sentry via email or by phone at 1-866-757-7400.